1.Soak Tamarind in hot water and extract watery pulp three times. 2.Slightly Roast about 6 red chillies and put it in the tamarind water. 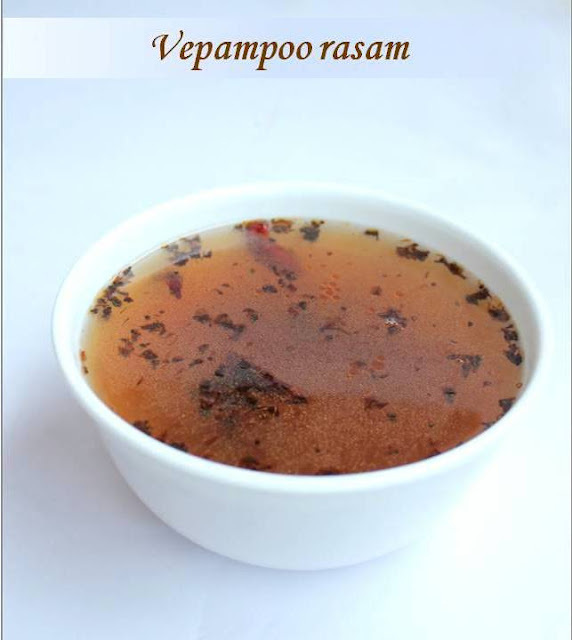 3.Heat the tamarind water with salt,asafoetida and curry leaves. 4.Once the raw smell of the tamarind goes add some plain or dal water. 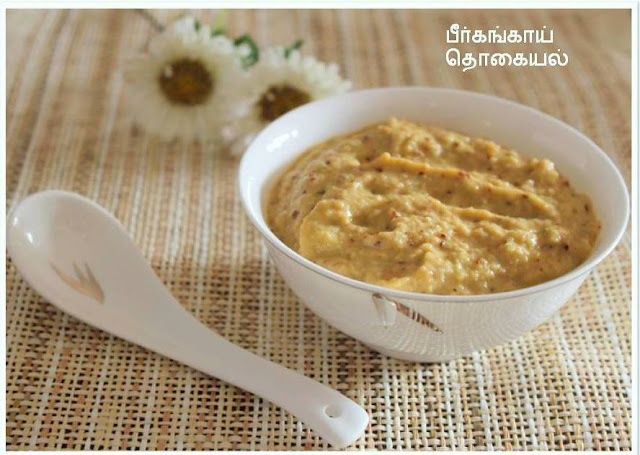 5.Temper mustard seeds,neem flowers and two chillies in ghee and add. 6.Add jaggery and close it.Have it with hot rice after half an hour. 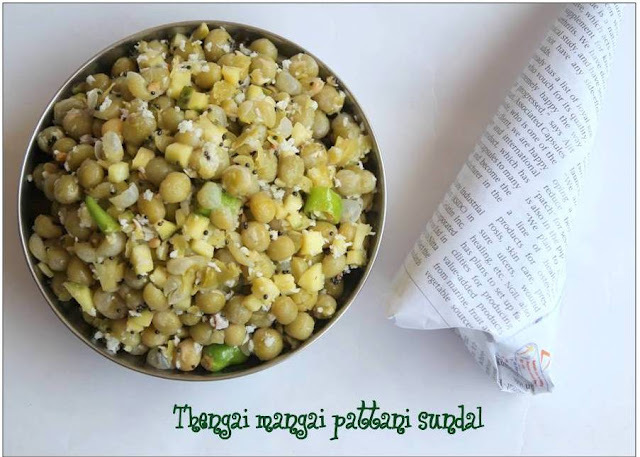 The famous sundal,sold in the marina beach of Chennai is a long time favorite with the Chennai-ites.Even today it is quite popular at the beach.However, as the beach food isn't considered safe, I'm providing a healthier alternative. 1.Soak the dried green peas overnight and pressure cook it with salt. 2.Scrape the coconut and cut mango into very small blocks. 3.Heat oil in a pan crackle mustard seeds and switch off the stove. 4.Add the boiled peas,coconut,green chillies and mix well. Cook the peas carefully just for two whistles.most of the times it gets mushy. Mango Season and one more recipe of mango. 1.Boil the rice and cool it by spreading it on a plate with a spoon of gingelly oil. 2.Dry roast the fenugreek and powder it.Peel off the skin and Shred the mango. 3.Heat oil in a pan crackle mustard seeds,add channa dal,red chillies and green chillies. 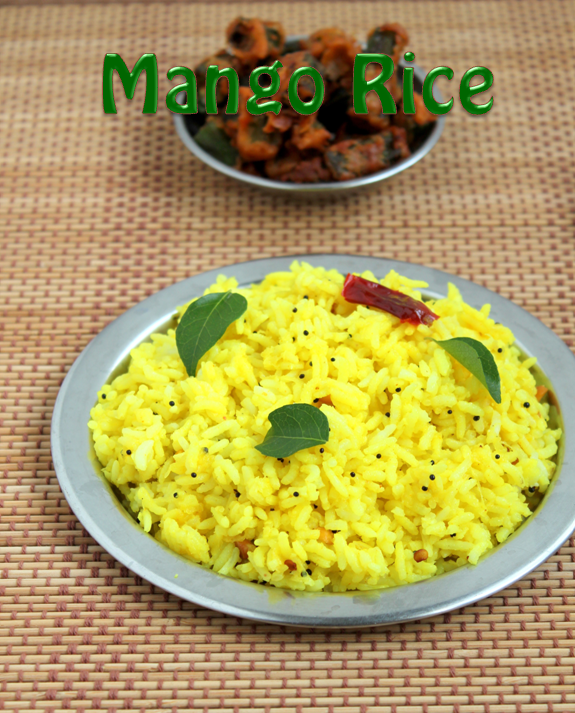 4.Add the shredded mango and saute for few minutes.Add salt and turmeric powder. 5.Cool it and mix it with the rice.Add fenugreek powder and Asafoetida. 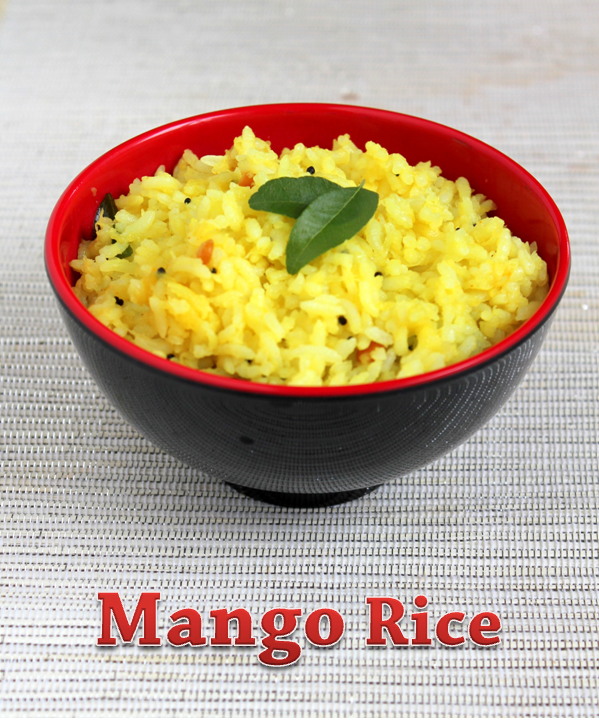 Mango gets cooked fast since it is shredded.Once the water evaporates it means it is cooked. Puli Aval or Aval usili(it is called) is a Tamarind flavored rice flakes.It is a traditional south Indian snack.Its tangy flavour makes it special and tasty.It is quiet easy to make especially if you have some ready made tamarind paste. 1.Boil the Rice sticks or sevai in milk and water.cool it. 2.Add salt and asafoetida and curds. 3.Temper in oil the mustard seeds,chopped ginger and green chillies. 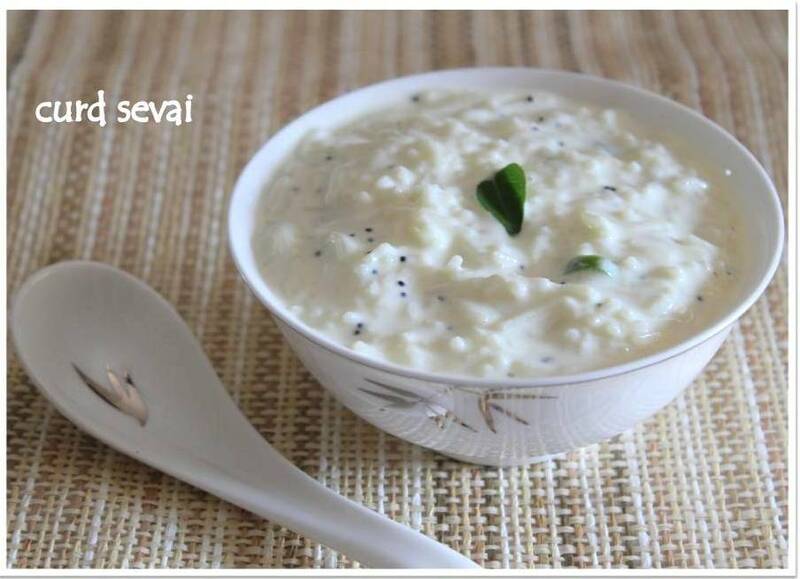 This is just a simple preparation and variation of curd rice. You can add a little sugar and coriander leaves if you want. In summer serve it chilled. 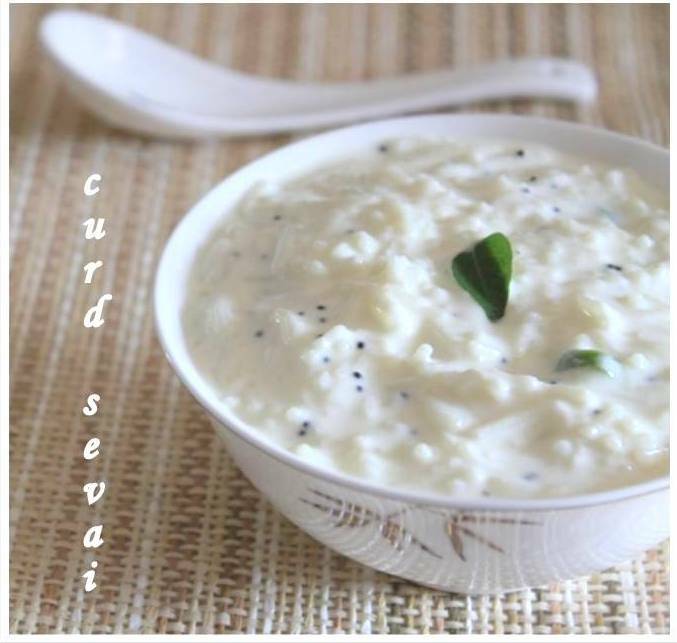 Adjust the water and curd quantity according to consistency. 1.Pressure cool the dal with extra water. (boil the dal).Soak Tamarind in hot water. 2.Extract Tamarind juice three times from the soaked Tamarind. 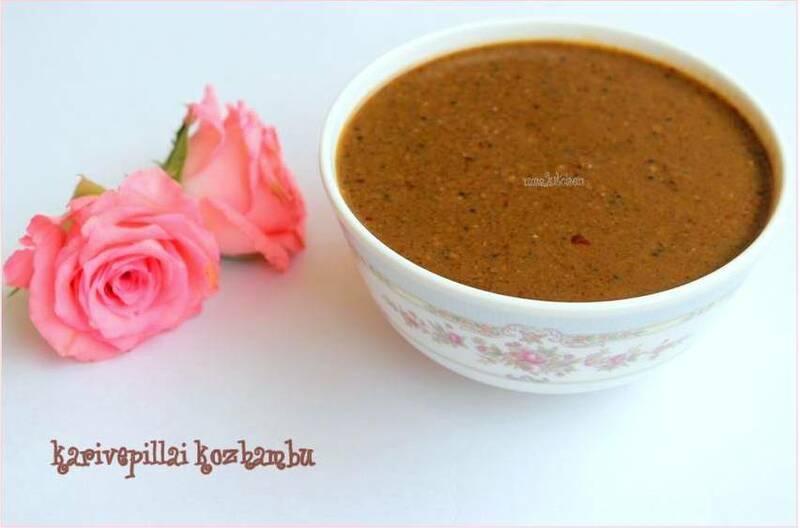 3.Boil the tamarind water with salt,rasam powder,asafoetida and cut tomatoes. 4.Mash up the dal and add some water to it. 5.Add the dal water to the boiling tamarind water and temper it. 6.Garnish with curry leaves and coriander leaves. If you make it in the traditional vessel called the "eeiya chombu" it tastes great. 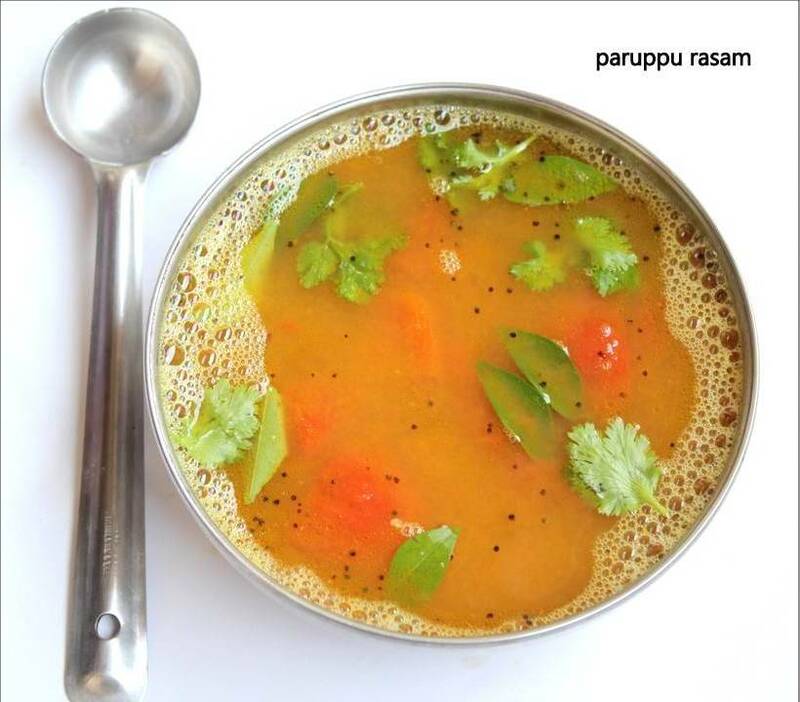 Mash up some hot rice and pour in some rasam and ghee it taste heavenly. This is a tangy and different type of kootu i learnt from my mother in law. (she is from Thirunelveli).You chop the vazhaikkai(Raw Banana) into small blocks boil it in tamarind water with sambar powder and add scraped coconut friend in coconut oil.That is the speciality i guess! 1.Soak Tamarind in hot water and extract juice.Dice the vazhaikkai. 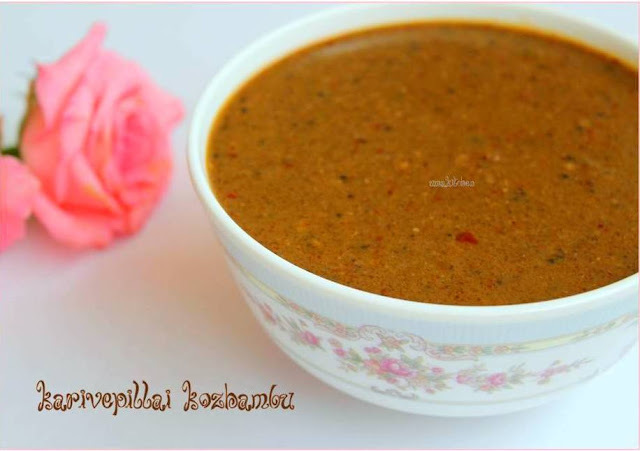 2.Boil the vegetable with sambar powder,salt and asafoetida. 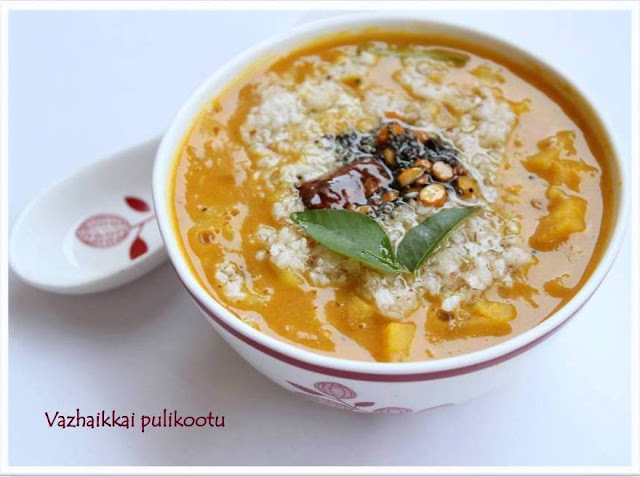 3.When it is soft add the boiled tur dal and temper it. 4.Finally fry the scraped coconut in coconut oil and add it. Add a little jaggery when it is boiling.it tastes good. Do not forget the coconut oil. One more variety of potato subzi for rotis.This is quiet simple and an ancient one.I remember my grand mom making this.Those days it used to be one day in a week chapati for tiffin and this used to be the accompaniment of course without the garam masala powder. 1.Boil potatoes and mash.boil peas.chop onions,tomatoes,green chilli and ginger. 2.Heat oil in a pan and crackle mustard seeds add cumin seeds and onions. 3.Fry onions till transculent and add green chilli,ginger pieces and tomatoes. 4.Add turmeric,chilli and salt.Add the mashed potato and boiled peas. 5.Add some water and boil.Dissolve gram flour in water and add to thicken. Can add a dash of lime and half a spoon sugar for a taste. 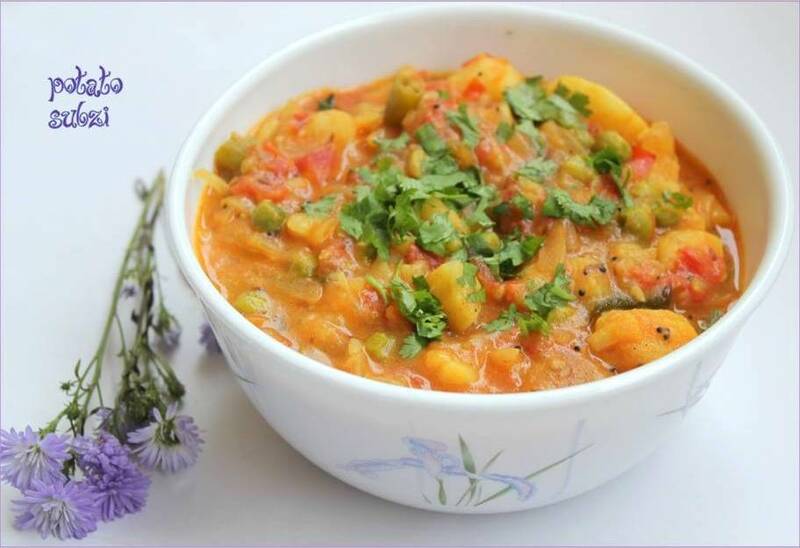 serve hot with poori or chapati or rotis. 2..Mix all the ingredients and cool it in the refrigerator. 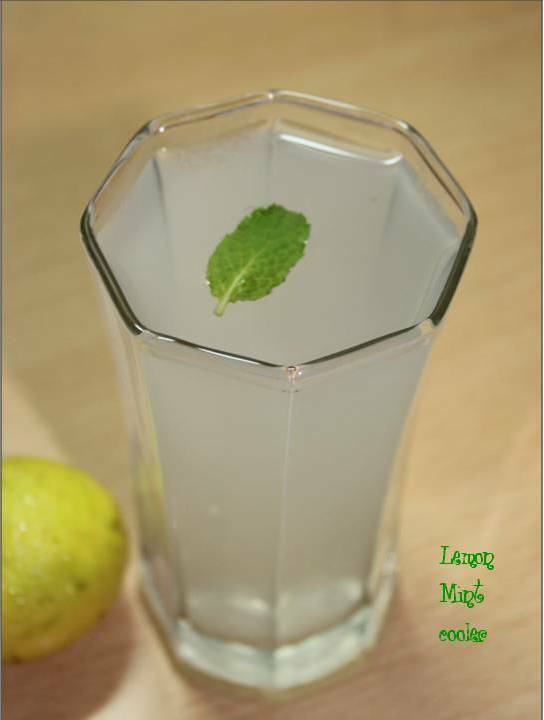 3..You can strain the mint leaves when you are serving. Replace honey with sugar if you like. 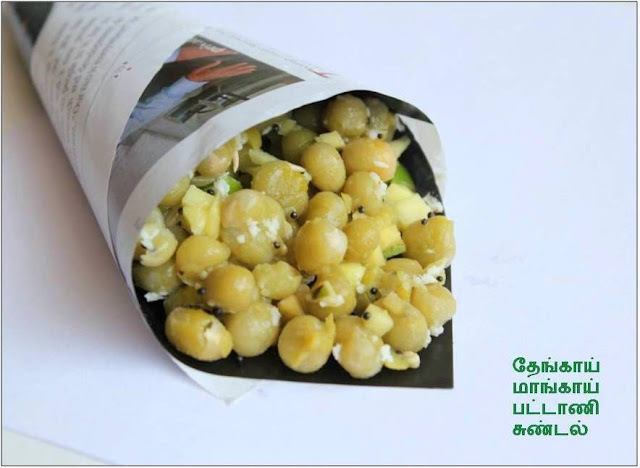 This recipe was written by chef damu in a tamil magazine. 1.Roast urad dal and red chillies in little oil.chop ridgegaurd into small pieces. 2.After you roast the dal and chillies in the same pan saute the vegetable until soft. 3.Cool everything.grind dal,chillies,tamarind,salt and asafoetida. 4.Later add the ridgegaurd pieces and grind together. You can add some coriander leaves while grinding. 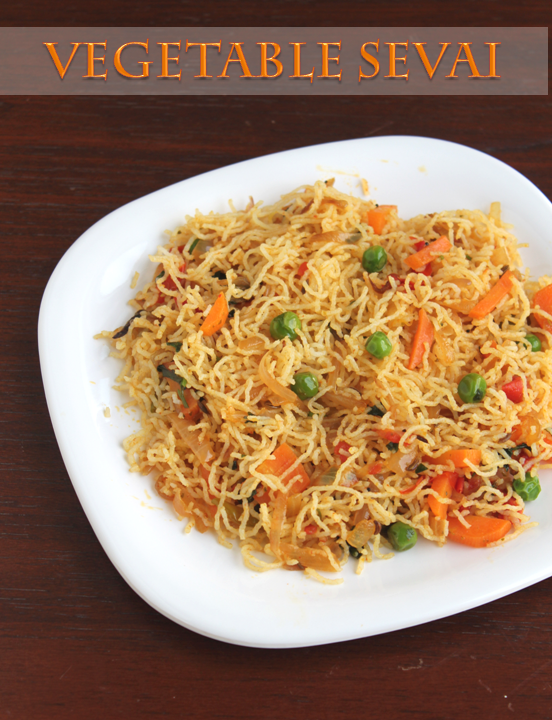 It goes well with dosa,arisi upma and rice. 1.Roast pepper,cumin and red chillies in oil and cool it. 2.Wash curry leaves and grind it along with the roasted ingredients and tamarind. 3.Grind the above into a smooth paste and dilute it to one more portion of water. 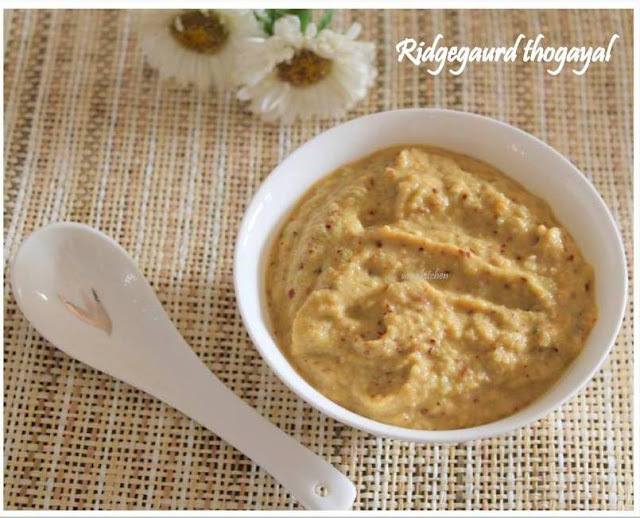 4.Heat oil in a pan and crackle mustard seeds,brown urad dal and pour the paste. 5.Let the watery consistency become thick. (meantime raw smell also goes). This kozhambu can be stored for few days. It is served with rice and paruppu thogayal as accompaniment. This quantity serves four people. 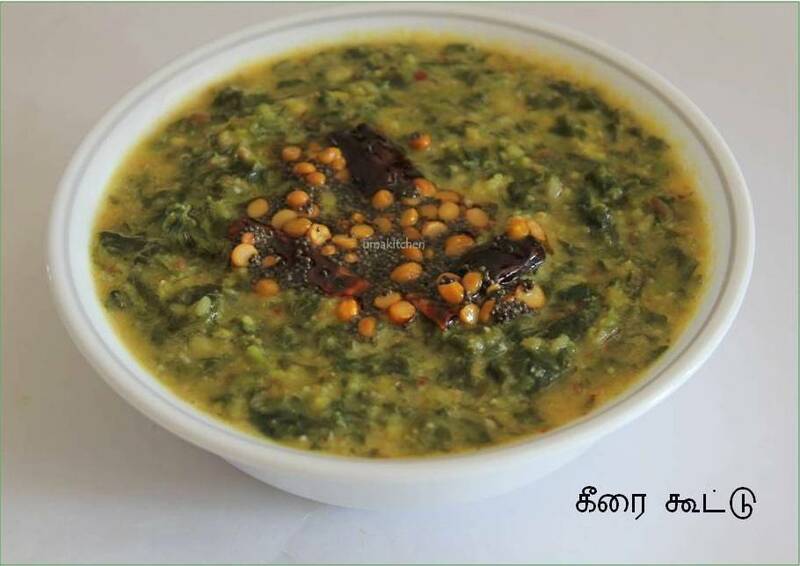 1.Wash the keerai thoroughly,chop and boil with salt and mash. 2.Boil the dal in the pressure cooker for 2 whistles. 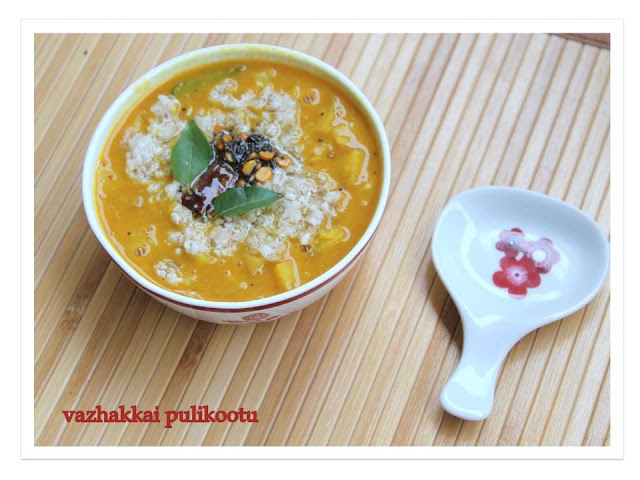 3.Grind coconut,red chillies and cumin seeds and add to the boiled keerai. 4.Add the boiled dal,salt and boil for a minute.sprinkle asafoetida. 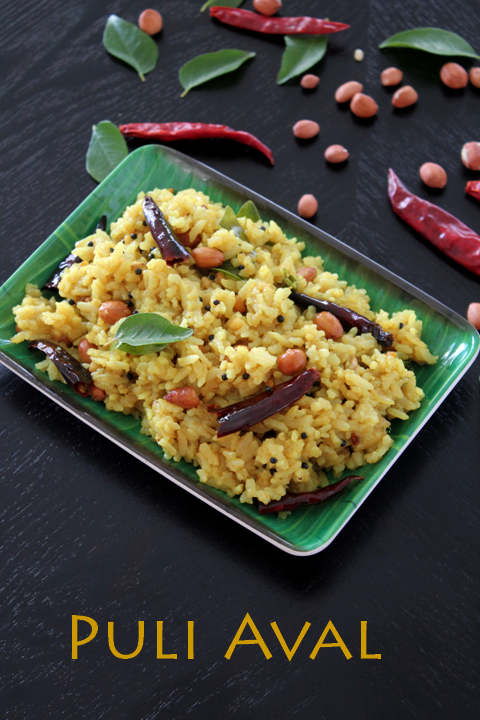 5.Temper with oil,mustard seeds,red chillies and channa dal. 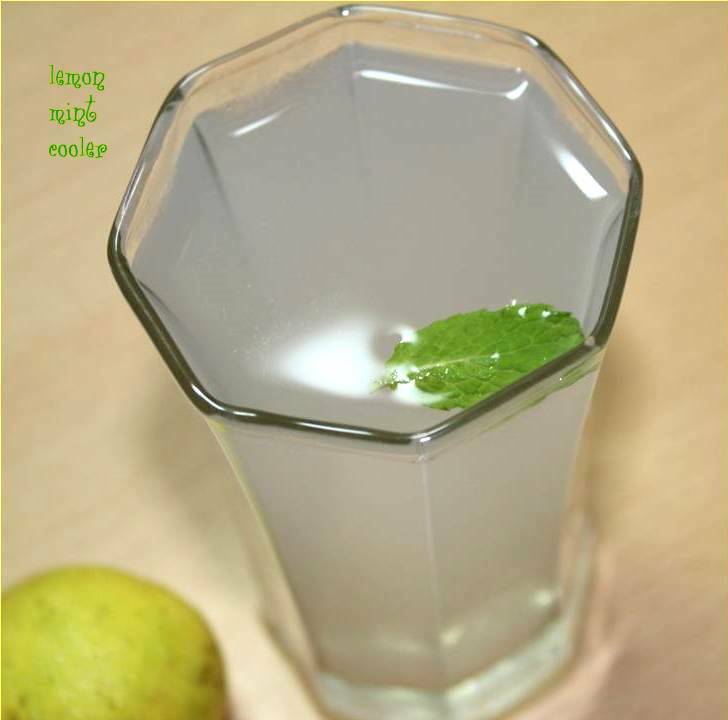 Use any type of keerai(mulai keerai,paruppu keerai or siru keerai).